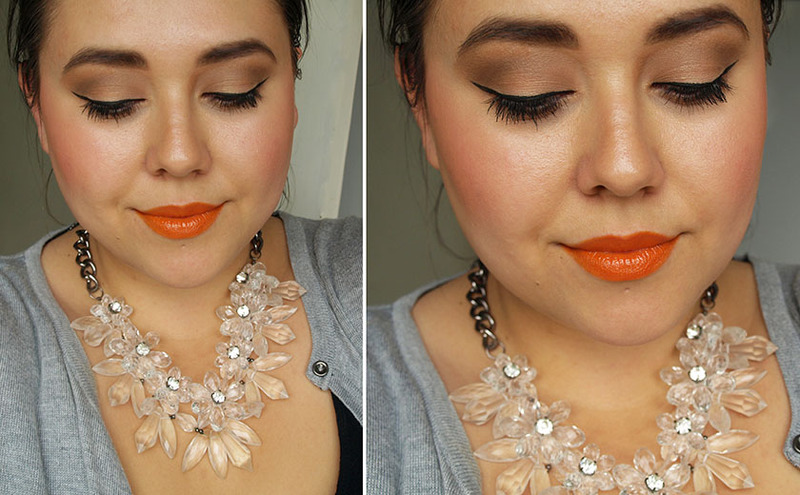 Continuing with the 'bright lip theme', I thought I should give a bright orange shade a go. Vice is part of the Makeup Revolution Scandalous collection, but it is pretty wearable and I absolutely love it. The other shades include a gorgeous fuschia pink, a bright purple, blue and yellow! You can see how the first two look like on the lips in this post. 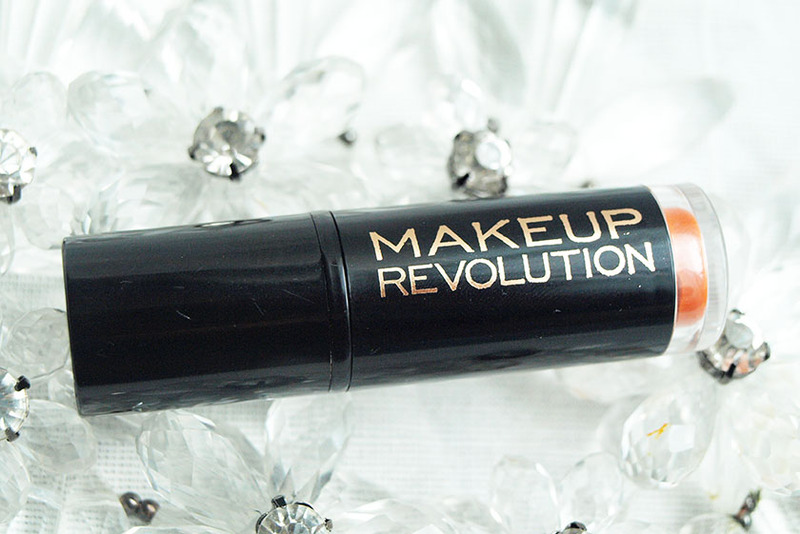 As mentioned on previous occasions, the formula of Makeup Revolution lipsticks glides on like a dream and feels very moisturising. I needed a couple of layers to achieve opaque coverage, but I would rather do this, than apply chalky lipsticks that feel drying. 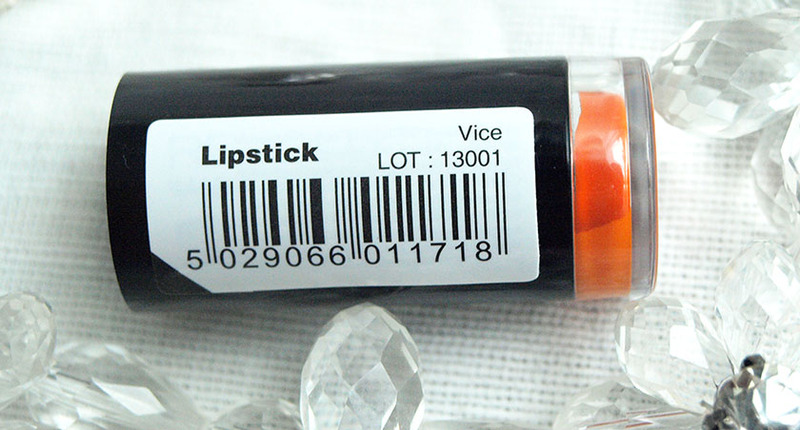 The pigmentation is slightly less impressive than I experienced with the pink and purple shades, but it is still really good and I love the way Vice looks on the lips. It's very bright, but you can get away with wearing it during the day, especially in Summer or on holiday. The lasting power is around 2 hours and the colour fades evenly and doesn't go patchy. 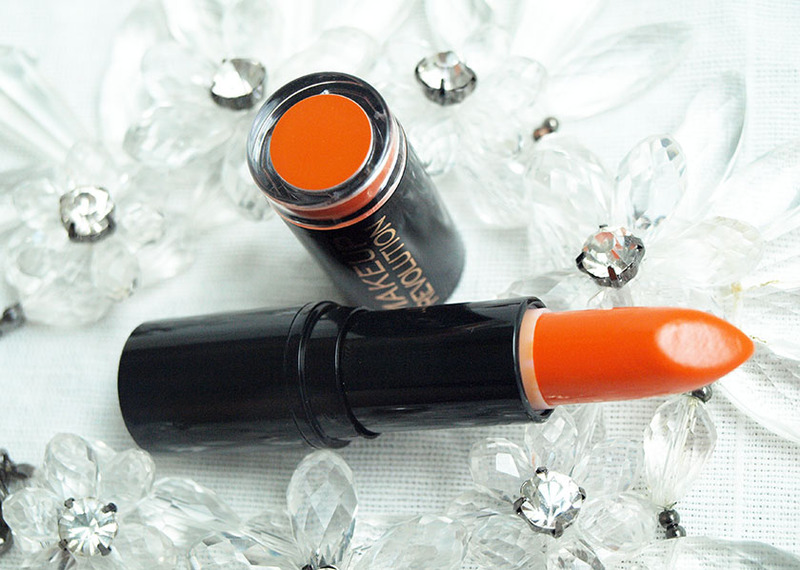 It will last longer and look even brighter if you pair it with an orange lip liner. 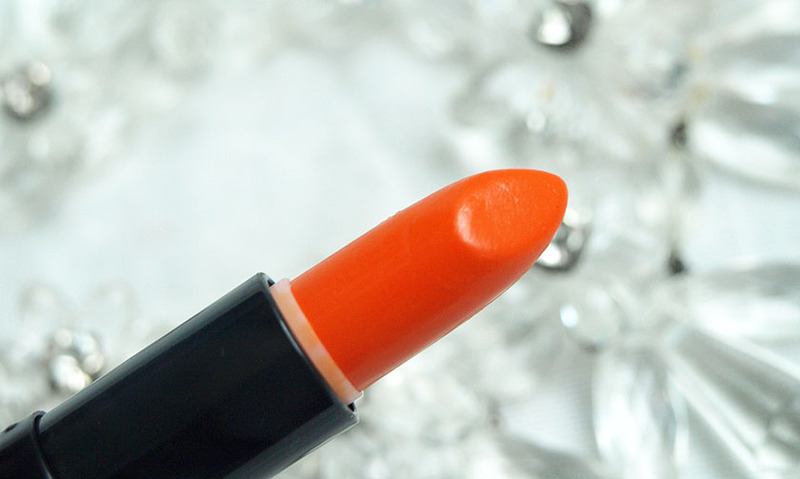 Do you like the look of this lipstick?